You've heard of content marketing. And you know you've got to do it. Even though it sounds like a chore. Another job to add to your long list. But do it right and it can make you lots of money. Here's a guide to help you get up and running with content marketing and still have a life. 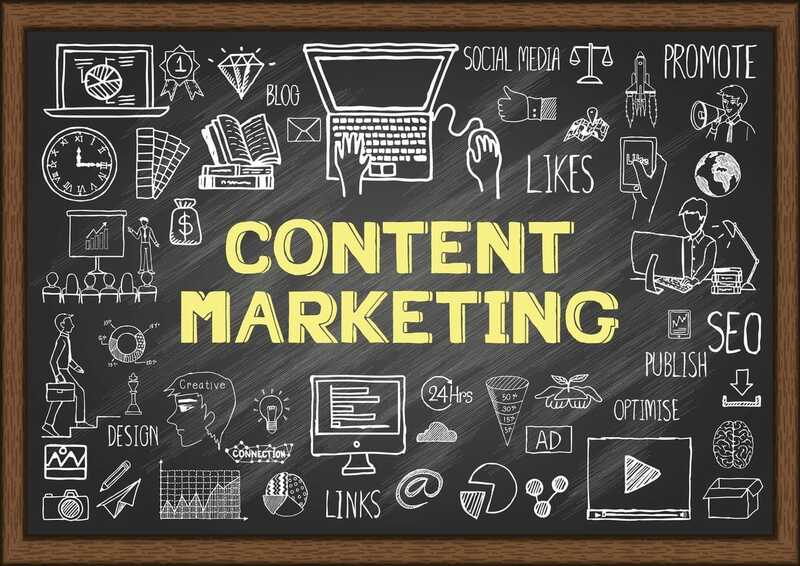 First of all, what exactly is content marketing? It's confusing because plenty of people talk about it, but very few tell you what it means. And now, many business owners are too shy to ask. In simple terms, it's about creating interesting and helpful information (in the form of articles, videos, podcasts, infographics, ebooks, whitepapers, etc) that solves your audience's problems, while subtly promoting your business, products and services. Not to mention how knowledgeable, generous and likeable you and your team are for sharing all this good stuff. Why should you invest time in content marketing? And how do you do content marketing? Here are the four steps to follow. You don't just want to be investing time and money into content marketing because everyone else is doing it, or that some marketing expert (or article you read) said it was a good idea. The only reason you do it is because you have a valid and worthwhile answer to "Why?". What are you hoping to achieve that will help your business now and over the long term? Then you'll want to dive deeper into how you can do that. And the only way to answer that is to be clear about who you are going to market too, and why they would be interested. You should be aware of who they might be demographically. More importantly, you need to find out about the issues they face, and where and how they look for solutions. Without this information, you are guessing and assuming you know the way your audience thinks. While you may have a good deal of knowledge about your customers, you'll never be able to connect in better ways than your competition until you find out what matters to them, from them. What keeps them awake at night in relation to your offering? Where can you find them online? Facebook, LinkedIn, forums? What types of content are they interested in? Something funny, insightful, advice-led do they prefer written content or visual content? What's not being catered for or can be done better? anything that offers a positive experience to the audience. Take the case of the father-son duo that ran an electronics store, Magnolia. They started as a photography store and expanded to sell electronics. They couldn't afford traditional advertising, so they launched a "Buyer's Guide Place," a mini-magazine to educate shoppers on electronics. They used the guide to impart answers and problem solver information first, while conveying their company's values at the same time. Soon these guides became a hit. They sold their business for $87 million within 18 months of launching the buyer's guide. It is important to remember that the message you wish to deliver should dictate the form of content and not the other way around. Don't lose the message in a rush to use a particular form of content. Trevor Tice started his health and fitness company, CorePower, in Denver in 2002. He chose to use social media to build awareness and to establish relationships with his customers. He also offered his classes online. As a result, he was able to create a connection with his audience and soon, he became a huge success. Keith Pabley founded Good Greens 2011 when he worked with a physician to improve his practice. He discovered that the healthy bars the physician recommended tasted awful, but they couldn't find any that didn't. So he made Good Greens Bars gluten free, dairy free, natural super bars with 40 antioxidants and 3 probiotics. However, Pabley didn't have a large marketing budget. So, he built relationships with local bloggers to increase the number of reviews, mentions and search engine results for Good Greens. Within 4 months, his sales jumped 50%. Three of his flavours became the No. 1, 2, and 3 selling bars in Cleveland. Content marketing takes time and effort. You can do it in-house, or outsource if you have the budget. Either way, it's important that you don't just jump in without a clear goal, understanding of your audience needs, ability to create (or hire someone to create) great content, and ability to get your information to them, where and when they need it. If you spend some time up front thinking about the why, what and how, it makes creating content marketing so much easier and the returns far greater.